If you need to work or learn how to use a CAD program, without spending too much money on a professional program like Autocad or others, you can use one of these free programs that provide all the functions of a CAD program. Here is a list of the top 10 free programs to download for Windows PC, Mac and Linux for technical drawing in both 2D and 3D projects. Free CAD is an open source program for Windows, Mac and Linux that directly addresses the engineering and design of products for mechanical use. It can also be used for architectural projects or other engineering sectors based on 3D modeling. Although free, FreeCAD is considered as an alternate of other popular CAD programs thanks to its ability to create real 3D solids, support for networks, 2D drawing and many other professional features. The program is modular therefore expandable with many extensions. NanoCAD is one of the best free and unlimited solutions for creating 3D CAD drawings. 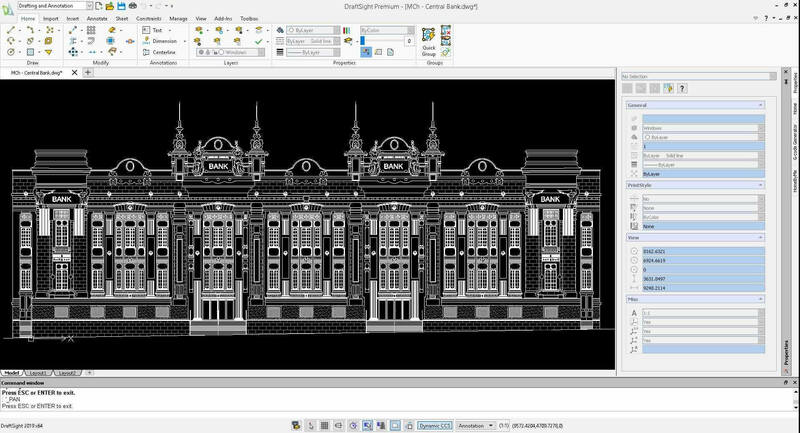 Its most important feature is the native support to the DWG format which is then that of Autocad. This means that a DWG file created with nanoCAD can be sent to other people who can then open it with Autocad without having need to convert. 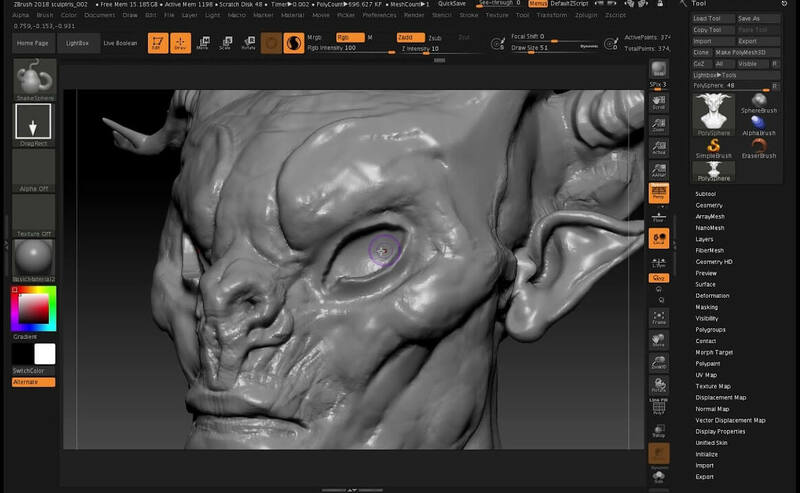 Sculptris is a free 3D graphic design program for Windows and Mac. Easy to use, it’s not really a technical drawing program, but a software to draw 3D models like sculptures or figures. As the name of this small software recalls, it serves to create virtual sculptures. In practical terms, it means that with Sculptris you can draw three-dimensional figures but not animations as you can do with the more complicated Blender. SketchUp is one of the most popular 3D modeling programs used primarily for architectural works and other niches in the 3D project industry. The program for Windows and Mac is complete and professional with all the tools included for free. You can also see the galleries of works done to understand that there are no limits of using this program. 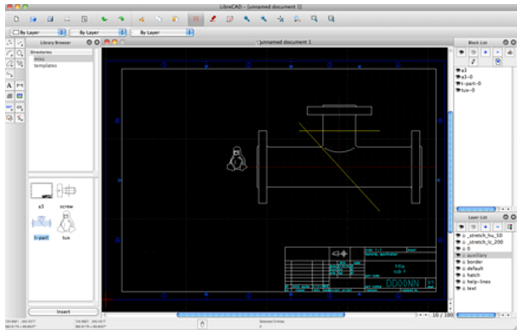 LibreCAD is a free, open source CAD drawing program for Windows, Mac and Linux. A complete tool that is proposed as an alternative to Autocad. LibreCAD can be used for all 2D architectural engineering drawings, to design mechanical parts, for construction, simulation, interior design, creative design and diagramming. DraftSight is another free 2D CAD editor for professional CAD users, students and teachers, to work on DWG files. The program is perfect for those who prefer minimal and simple CAD software. DraftSight can be downloaded for Windows, Mac and Linux. OpenSCAD is a 3D modeling platform ideal for engineers, to design parts of machines using script programming. So there is no button interface and it is only for programmers. 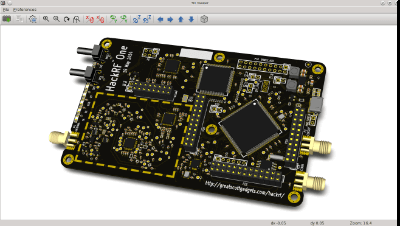 KiCAD is a free design tool for drawing printed circuit boards (PCBs), for Windows, Mac and Linux. 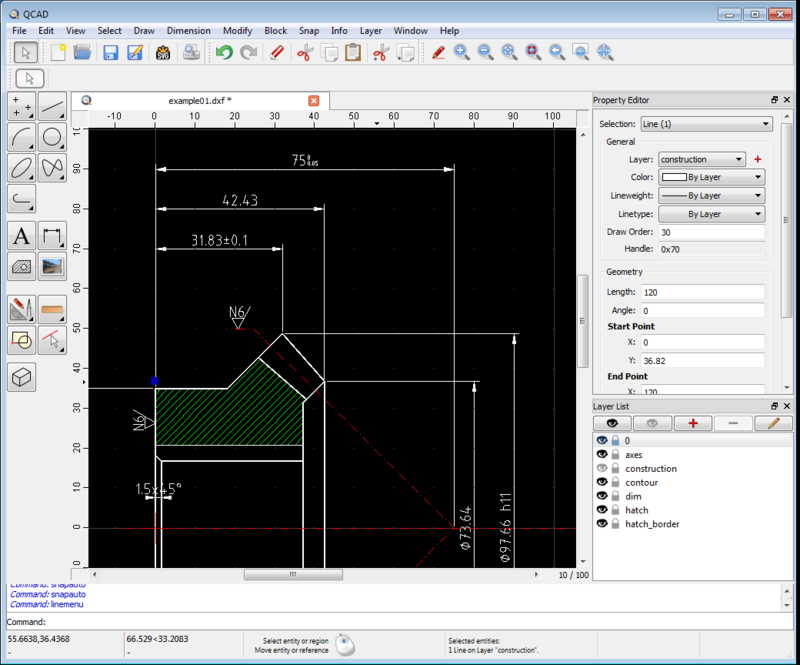 QCAD is available for all computers to create technical drawings of buildings, mechanical parts or even diagrams. Since it is open source, QCAD is modular and extensible. Its 2D CAD platform is powerful yet easy to use even for a beginner who has little or no experience. 3DCrafter is a simple 3D modeling program that works simply through drag and drop. It is used to create animated models by drawing scenes in real time. very useful and authentic information. Great information source for selecting best 2D cad software. Thanks for sharing it.